One of Jordan Brand’s most well-documented abilities is its penchant for telling stories from MJ’s legacy with its releases. From the recently dropped Air Jordan 1 Best Hand In The Game collection to the epochal Air Jordan 11 Space Jam, nearly every corner of Jordan’s life has been recorded through a sneaker drop. One of the Jumpman’s most recent sets, the International Flight capsule, pays homage to number 23’s unmatched international influence, helping popularize the game in countries the world over. 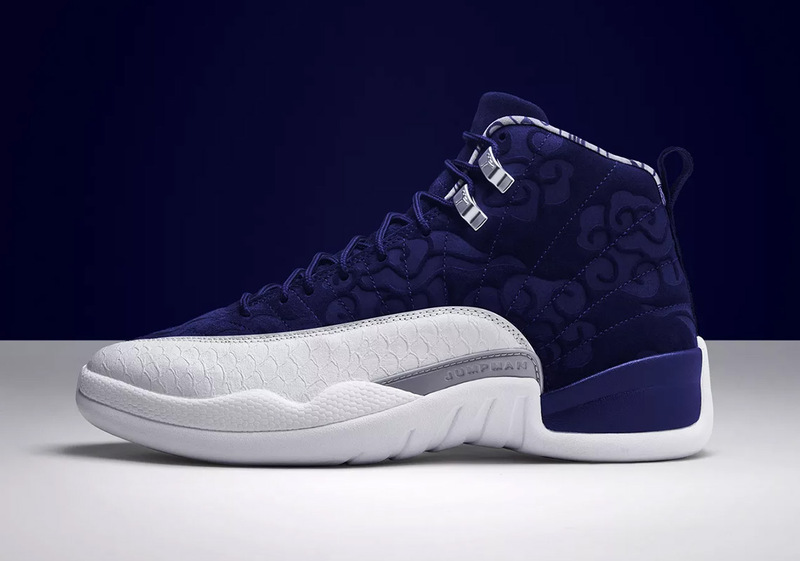 With an Air Jordan 3 and an Air Jordan 5 emulating charity games having already dropped, all that is left to complete this pack is an Air Jordan 12 designed to encapsulate Jordan’s 1996 trip to Tokyo for a basketball clinic. Opting to adorn this silhouette in a Tokyo-inspired colorway makes all these sense in the world, as its upper was originally influenced by Japan’s instantly recognizable Rising Sun flag. Further Japanese-inspired details come by way of kimono-styled patterns on its upper and the word Jordan spelled out in kanji characters on its heel tab. Grab another detailed look and this International Flight Jordan 12 as well as our where to buy list in advance to its September 8th release, below.